The report compares the financial statement between Squire Pharmaceutical and Beximco Pharmaceutical for the year ended 2009 to 2011.Square Pharmaceuticals Limited is the largest pharmaceutical company in Bangladesh and it has been continuously in the 1st position among all national and multinational companies since 1985. It was established in 1958 and converted into a public limited company in 1991. On the other hand Beximco Pharmaceuticals Ltd. belongs to Beximco Group, the largest private sector business conglomerate in Bangladesh. 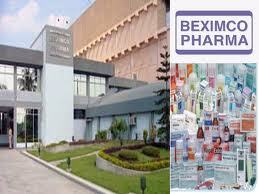 Beximco Pharmaceuticals is a leading manufacturer and exporter of pharmaceuticals in the country. Beximco Pharmaceutical is the only Bangladeshi company listed on the AIM of London Stock Exchange through issuance of GDRs. Here this two companies are handle the pharmaceuticals matter and my topic about my term paper is compare the financial statement analysis between this companies, that’s why I am analyzing the financial statement of this company’s by using their annual report and the financial statement. In my study I try to show their financial performance from 2009 to 2011. Besides that, I also use comparative techniques to compare for financial statement analysis of Beximco Pharmaceuticals Ltd with Square Pharmaceuticals Limited. Financial performance measurement is very important for the institutions because it indicates the organization’s performance. That’s mean how the organization is running. Besides that it also helps to take the future decision and action. However, this term paper is prepared on the basis of Financial Performance of Beximco Pharmaceuticals Ltd. comparing with Square Pharmaceuticals Ltd. These two pharmaceuticals company are most prominent in Bangladesh. By This term paper I can know that how Beximco Pharmaceuticals run their business from Square Pharmaceuticals. And what are their week points? As an obligatory requirement of Honor’s program under the Department of Finance & Banking I prepare this term paper to fulfill the requirements of Principals of Finance course. As a student of business study I gain plenty of theoretical knowledge. Now it’s the time to use this theoretical knowledge practically. But it’s not a easy task to compare two institutions financial position. Although by using the theoretical knowledge we are able to understand the field collecting data from their website & annual report, which help us to cope up the situation. Now a day’s pharmaceuticals company takes a great places in this country, the functions of such institutions are relatively new and challenging to compare. Producing drugs is one of the main concentrations of these firms. After doing this term paper as a commerce & finance background student I can know the past and current financial position of Beximco Pharmaceuticals and Square Pharmaceuticals in the market. In my term paper entitled “Financial Statement Analysis of Beximco Pharmaceuticals Ltd. in Comparing with Square Pharmaceuticals Ltd.”, here I am supposed to analyze the financial statements regarding its problems and prospects, recent year statistics and in comparing with this companies particularly in terms of its precise definition, problems, factors, contributions, and inventions. The report mainly analyzes the existing services of Beximco Pharmaceuticals Ltd. and Square Pharmaceuticals Ltd. The term paper also analyzes the financial performance of the above two companies over three years and evaluates the performance of Beximco Pharmaceuticals Ltd. in Comparing with Square Pharmaceuticals Ltd. There were some restrictions in disclosing some information as it was assumed to be confidential. Therefore I could not include those in my term paper. Some of the information that I got from secondary sources were not arranged consistently. As some companies do not update their web site, therefore it was difficult to get the most recent data. This report titled “Financial Statement Analysis of Beximco Pharmaceuticals Ltd. in Comparing with Square Pharmaceuticals Ltd.”, has been prepared as a partial requirement for the course, Principals of Finance instructed by Mohammad. Akter Hossain, Department of Finance & Banking, Dhaka Commerce college. The report is meant to relate the financial statement analysis theories learnt in class to the context of a real world scenario to understand their practical implications. To introduce the functional departments of Beximco Pharmaceuticals as well as functions of Square Pharmaceuticals and brief idea about Pharmaceuticals . Evaluating financial performance of Beximco Pharmaceuticals in comparing with Square Pharmaceuticals To brings out the position of this companies in the market. Many institutions measure their financial performance analysis to know their performance comparing with some other financial institutions which helps to take the future decision and action. It also helps to show the present situation where they are standing now and which year was the best performed. That’s why, I have chosen the topic to prepare the report “Financial Statement Analysis of Beximco Pharmaceuticals Ltd. in Comparing with Square Pharmaceuticals Ltd.”, I have chosen this topic to measure the performance of Beximco pharmaceuticals during the Three years and I have used Square pharmaceuticals to compare because both of two Pharmaceuticals are similar. Ratio analysis is very important factor for measuring the financial performance measurement. There are several ratios and grouped in the four sections which are used to prepare the report and it is studied from the Book (e.g. C.P. Jonce). One important section of ratios is Profitability or return and data are availability from the book (b.g. Mohammad Akter Hossain). There are several ratios are gathered from the websites. For the ratio analysis, Balance sheet and Income statement of Beximco pharmaceuticals is very important and data are availability from the Annual report (e.g. Annual report 2009-2011). And for the comparing with Square pharmaceuticals, Balance sheet & Income Statement of them is very important which are collected from Annual report (e.g. Annual report 2009-2011). In order to make the term paper as perfect as possible I here used data collection procedures which articulate the way that I have followed in my report. Secondary ways of collecting data: The secondary data are those which have already been collected by someone else and which have already been passed through the statistical process. From my term paper, secondary data were collected mainly from internet to collect annual reports as well as financial highlights of the company. Another important source was the annual reports of the companies. In Bangladesh Pharmaceutical sector is one of the most developed hi tech sector which is contributing in the country’s economy. After the promulgation of Drug Control Ordinance – 1982, the development of this sector was accelerated. The professional knowledge, thoughts and innovative ideas of the pharmacists working in this sector are the key factors for this developments. Due to recent development of this sector we are exporting medicines to global market including European market. This sector is also providing 95% of the total medicine requirement of the local market. Leading Pharmaceutical Companies are expanding their business with the aim to expand export market. Recently few new industries have been established with hi tech equipments and professionals which will enhance the strength of this sector. Beximco pharmaceutical begin as a product was introduced in the Pharmaceutical Market of Bangladesh in 1976 with the incorporation of the Beximco Group and the Square pharmaceutical started their journey in the Pharmaceutical Market of Bangladesh in 1976 with the incorporation of the Square Group of companies. An Overview of Beximco Pharmaceuticals Ltd.
Beximco Pharmaceuticals Ltd. belongs to Beximco Group, the largest private sector business conglomerate in Bangladesh. Incorporated in the late 70s, Beximco Pharmaceutical began as a distributor, importing products from global MNCs like Bayer, Germany and Upjohn Inc., USA and selling them in the local market, which were later manufactured and distributed under licensing arrangements. The Company introduced its own branded generic products in 1983. Since then, the journey continued, and today, Beximco Pharmaceutical is a leading manufacturer and exporter of pharmaceuticals in the country, winning National Export Trophy (Gold) a record four times. Beximco Pharma’s manufacturing facilities have been accredited by major global regulatory bodies, and it has expanded its geographic footprint across four continents. Beximco Pharmaceutical is the only Bangladeshi company listed on the AIM of London Stock Exchange through issuance of GDRs. Having a broad portfolio of more than 500 products and a dedicated team of around 2,700 employees, Beximco Pharmaceutical is committed to providing access to medicines which are affordable and manufactured in strict compliance with global standards. Enhancing human health and well being by providing contemporary and affordable medicines and to deliver outstanding results for our shareholders. To be one of the most trusted, admired and successful pharmaceutical companies in the region with a focus on strengthening research and development capabilities, creating partnerships and building presence across the globe. An Overview of Square Pharmaceutical Ltd.
SQUARE today symbolizes a name – a state of mind. But its journey to the growth and prosperity has been no bed of roses. From the inception in 1958, it has flourished into one of the top line conglomerates in Bangladesh today. Square Pharmaceuticals Ltd., the flagship company, is holding the strong leadership position in the pharmaceutical industry of Bangladesh since 1985 and is now on its way to becoming a high performance global player. Square Pharmaceuticals Limited is the largest pharmaceutical company in Bangladesh and it has been continuously been the market leader since 1985. It was established in 1958 as a partnership and in 1964, Square was converted into a Private Limited Company. In 1991, it was listed in the Dhaka Stock Exchange (DSE) and Chittagong Stock Exchange (CSE) as a Public Limited Company. In 1994, Square commenced Initial Public Offering (IPO) of Square Pharmaceutical Limited shares with authorized capital of Tk 1,000 million. Vision Statement Square Pharmaceutical Ltd.
Mission Statement Square Pharmaceutical Ltd.
Their Mission is to produce and provide quality & innovative healthcare relief for people maintain stringently ethical standard in business operation also ensuring benefit to the shareholders, stakeholders and the society at large. A tool used by individuals to conduct a quantitative analysis of information in a company’s financial statements. Ratios are calculated from current year numbers and are then compared to previous years, other companies, the industry, or even the economy to judge the performance of the company. Ratio analysis is predominately used by proponents of fundamental analysis. The process of evaluating businesses, projects, budgets and other finance-related entities to determine their suitability for investment. Typically, financial analysis is used to analyze whether an entity is stable, solvent, liquid, or profitable enough to be invested in. When looking at a specific company, the financial analyst will often focus on the income statement, balance sheet, and cash flow statement. In addition, one key area of financial analysis involves extrapolating the company’s past performance into an estimate of the company’s future performance. On the other hand, one of the most common ways of analyzing financial data is to calculate ratios from the data to compare against those of other companies or against the company’s own historical performance. For example, return on assets is a common ratio used to determine how efficient a company is at using its assets and as a measure of profitability. This ratio could be calculated for several similar companies and compared as part of a larger analysis. Ratio Analysis is one of the basic tools of financial analysis. And it is a fact that financial analysis itself plays an important role in the progress of business strategic planning. Being the basic tool of the strategic analysis, ratio analysis plays a vital role and it is not possible to complete the analysis of a company’s strengths, weaknesses, opportunities and threats, without an analysis of its financial position. This tool is normally used to conduct a quantitative analysis of information in a company’s financial statements. Ratios are calculated by comparing the current year figures to previous years, other companies, the industry, or even the economy to judge the performance of the company. This is predominately used by proponents of fundamental analysis. If you don’t know how to evaluate the present performance of a company and its possible future performance, you should learn how to analyze ratios. • This analysis gives users a good understanding of how well the company utilized its resources in generating profit and shareholder value. • It attempts to measure a company’s ability to pay off its short-term debt obligations. • Used to determine the overall level of financial risk a company and its shareholders face. • It helps to enrich financial health and performance of a company. Helpful in analysis of Financial Statements. Helpful in locating the weak spots of the business. Helpful to take future decision and action. Estimate about the trend of the business. Comparison not possible if different bank adopt different accounting policies. Ratio analysis becomes less effective due to rate of interest level changes. Ratio may be misleading in the absence of absolute data. False accounting data gives false ratio. Ratios alone are not adequate for proper conclusions. Overall financial position of the company seems to be satisfactory. I strongly believe if the above steps are taken the company’s financial performance will be more efficient, employees’ morale will be improved and productivity will be increased. They should give the consideration on their weaknesses and take the actions to overcome the weaknesses. Investors are interested in the current ratio because it indicates the ability of a company to pay its current liabilities form current assets and, in this way, shows the strength of the company’s working capital position. Interpretation: From the above chart (Graph-1) we can see that current ratio in 2009-2011 of Beximco is 2.97, 2.46, 2.69 is continuously going down on the other hand Square has 1.45 , 2.14 , 1.5 are increasing and decreasing. This indicates that Beximco has more ability to pay off its current liabilities than Square. Interpretation: From the above chart (Table-2) we can see that quick ratio in 2011 of Beximco is more than Square and same result has seen in 2010 and 2009.this indicates that Beximco has more efficiencies than Square. The cash ratio measures the extent to which a corporation or other entity can quickly liquidate assets and cover short-term liabilities, and therefore is of interest to short-term creditors. Interpretation: From the above chart (Table-3) we can see that Cash Ratio in 2011of Beximco is more than Square and same result has seen in 2010 and 2009.this indicates that Beximco has more cash than Square. Net profit margin ratio measures the proportion of revenue that finds its way into profit. This ratio measures how much net profit remains out of each dollar of sales after all are expenses covered. Interpretation: From the above chart (Table-4) we can see that quick ratio in 2011 of Beximco is less than Square but result has seen in 2010 and 2009 is more than in Beximco .this indicates that Beximco has more efficiency level than Square. This is one of the most important ratios which investors are interested in any company. This ratio shows the return on firm’s all assets. It measures how well the investments of the company (the Total Assets) have generated earnings (Net Earnings) back to the company. Interpretation: From the above chart (table-5) we can see that Return on Asset ratio in 2011 of Square is more than Beximco and same result has seen in 2010 and 2009.this indicates that Square get more return than Beximco. EPS is the measure used most widely to appraise a company’s operation is earnings per share of common stock. This is one of the most important factors for prospective investors in the company as it plays a significant role in determining the market price of the share and the dividends to be distributed. This ratio also allows comparing various organizations in the related industry. Interpretation: From the above chart we can see that Earning Per Share (EPS) in 2009-2011 is continuously going down Beximco and Square also. But in all year which indicates that Beximco has more risk than Square. Price-earnings ratio helps investors to judge whether the stock is under priced or overprice. A high price earnings ratio means that investors are willing to pay a premium for the company’s stock because is expected to have higher than average future earnings growth. Companies with high P/E ratios are more likely to be considered “risky” investments than those with low P/E ratios, since a high P/E ratio signifies high expectations. Interpretation: From the above chart we can see that Earning Per Share (EPS) in Beximco is less than Square in all year which indicates that Beximco has more risk than Square. CURRENT RATIO: Here we can see that current ratio in 2009-2011 of Beximco is continuously going down on the other hand Square is increasing and decreasing. This indicates that Beximco has more ability to pay off its current liabilities than Square. QUICK RATIO: Here we can see that quick ratio in 2011 of Beximco is more than Square and same result has seen in 2010 and 2009.this indicates that Beximco has more efficiencies than Square. CASH RATIO: Here we can see that quick ratio in 2011 of Beximco is more than Square and same result has seen in 2010 and 2009.this indicates that Beximco has more efficiencies than Square. NET PROFIT MARGIN RATIO: From the above chart (Graph-4) we can see that quick ratio in 2011 of Beximco is less than Square but result has seen in 2010 and 2009 is more than in Beximco .this indicates that Beximco has more efficiency level than Square. RETURN ON ASSETS (ROA): Here we can see that Return on Asset ratio in 2011 of Square is more than Beximco and same result has seen in 2010 and 2009.this indicates that Square get more return than Beximco. PRICE EARNING RATIO (PER): Here we can see that Earning Per Share (EPS) in Beximco is less than Square in all year which indicates that Beximco has more risk than Square. To conclude the report, it is imperative to mention that default clients have been a major problem for the Pharmaceuticals Institutions for long and the financial institutions have been trying to minimize the default problem all along. The Bangladesh Association of Pharmaceutical Industries (BAPI) has been striving to assist the pharmaceuticals institutions to get out of the default problem and formulating policies for that purpose. As a continuance to this, Bangladesh Association of Pharmaceutical Industries (BAPI) has been providing directives when and where it seems to be necessary. In Bangladesh many business organizations are still facing problems in the functioning of smooth business operations and moreover they concentrate on making profit more than their safety as a result of this they sometime get out of safety caution to absorb the industry sock. Therefore fall in to loss and sometimes get liquidated. The consequence of this is that Pharmacy Council of Bangladesh (PCB) do not get their due amount in time which is a big and foremost risk to the organizations. To overcome this, a very important factor to which risk weights have to be raised is the past default behavior of the borrowers. There are about 256 pharmaceuticals institutions in this small country. So it is a competitive market for financial sector. To keep in top of the list Beximco has to provide sufficient activities to level up this institution. In addition, the reward are modest, the penalties for bad looking are enormous. In financial statement analysis, Beximco shows the average performance in total. In a competition market, it is very hard to compete with one another. Besides that Square is a very prominent pharmaceutical institution’s in our country. Beximco has a vast assets comparing with Square. But their net income is not very satisfactory because of their high expense. Moreover, financial performance of Beximco was good up to 2011. We can see it from our data analysis. Their net income & assets are increased. But it is not increased in such way which is increased in Square. The Pharmaceuticals companies across the world are work for mankind. But for helping people they need to produce much more and new product for their production the need more fund. So the need to exploring alternative sources of funds. Pharmaceuticals in Bangladesh are operating in a highly competitive environment. The competition for them is even more challenging as they have to compete with other company. Given the changes in the business environment, the need for product diversification is very important. Pharmaceuticals company around the world carry out a significant role in the development of the capital market. Strong institutional support is necessary for a vibrant capital market which is the core of economic development in any market based economic system. But their activities in the capital market are rather limited. Active participation of pharmaceuticals company is essential to accelerate the capital market activities which can expedite the economic growth of the country. As their main target is providing medicine for mankind they should offer people or consumers their best offer and services in their products and shears or stocks. Pharmaceutical company also should concentrate on the promotion activities; that all levels of client know about their services. Annual Report of Square, Year of 2009-2011.